You may have gathered, especially from my Miss Cooly Rocks On posts, that I enjoy dressing to a theme. Sometimes that theme is subtle and only noticeable if you’re really looking, other days, it’s super obvious. I first discovered Seams Nostalgic at Gold Coast Supanova at the start of the year. Abigael makes gorgeous skirts, but even better than that, she’s a nerdy/pinup loving girl who weaves both of those things into her creations. This, of course appeals greatly to me as a fellow pinup nerd! Her staple seller at the time wrap skirts with geek-themed pockets, plus some more vintage-style ones and some gorgeous, soft fluffy petticoats. I’d been lusting after her Little Mermaid skirt from around the time I was searching for outfits for Cooly, and happily, a few months ago, I picked this beauty up. 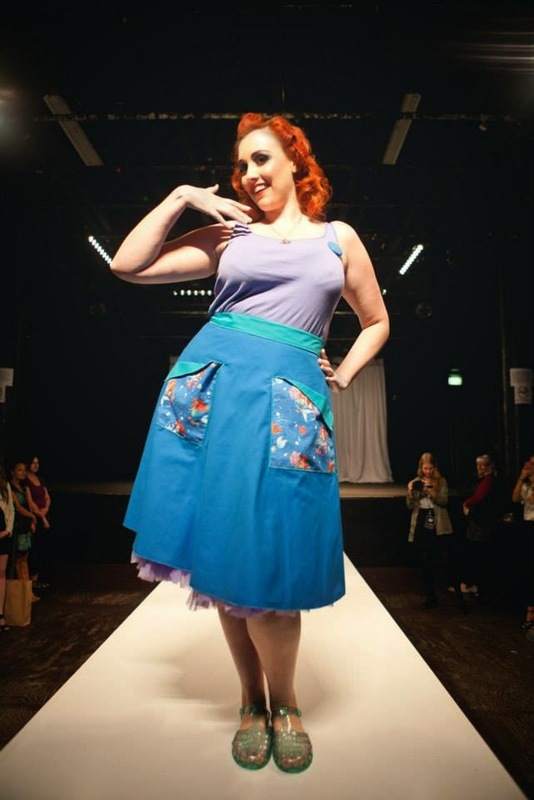 I was really lucky to be asked to model the same skirt for her at the fashion showcase as a part of Raw Art Brisbane a couple of months ago. I had an absolute blast being done up as a mermaid for the night, but I was also lucky to get a special preview of her much-anticipated DC and Marvel “Alter Ego” skirt collections, the day before they released. What’s most impressive about Abi’s work though, is how passionate she is about her creations. She’s put an unbelievable amount of effort into designing each and every one of her skirts, matching them to specific outfits in comics and movies, weaving the fandom element in so her skirts can be worn in the office in a sort of undercover cosplay just as easily as they can be worn to a convention as an actual cosplay. She’s made patterns, bought materials and sewn them all too. Everything is finished off beautifully, which just adds to the value of her pieces. I’ve just started sewing properly in the last year and as I’ve taken almost a month to finish a dress that’s a bit rough inside, I’ve got a newfound appreciation for people who actually work as seamstresses for a living — and Abigael isn’t just a seamstress, she’s a designer, a patternmaker, a marketer, and administrator, a packer and all of those other things that come along with having a small business. She’s an impressive, talented lady, and I am super glad that I came across her at Supanova. 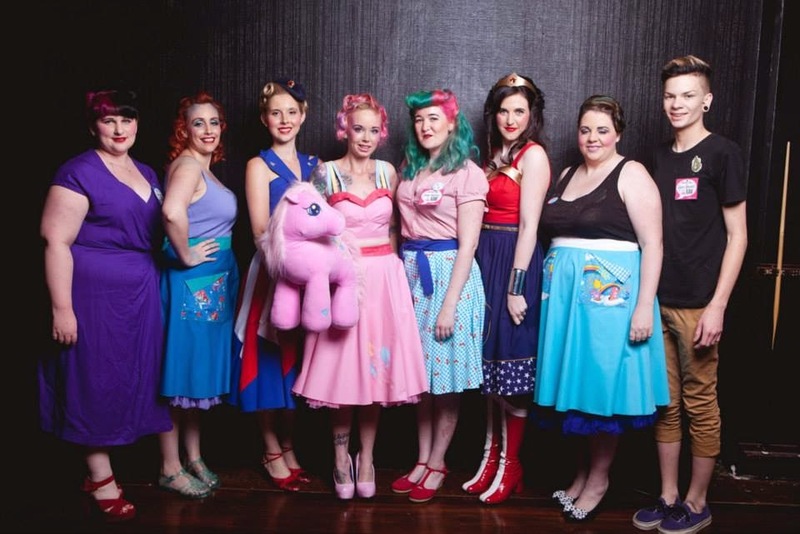 I can’t wait to pick up my piece of her DC collection at this weekend’s Supanova, a Wonder Woman circle skirt (modelled in our group shot by the fabulous Cleo DeFleur). Abigael is the one with the gorgeous pink & green hair! The Marvel and DC collections are limited, but you can jump on her Etsy store and see what’s there, and have a chance to own your own gorgeous piece of Seams Nostaglic. 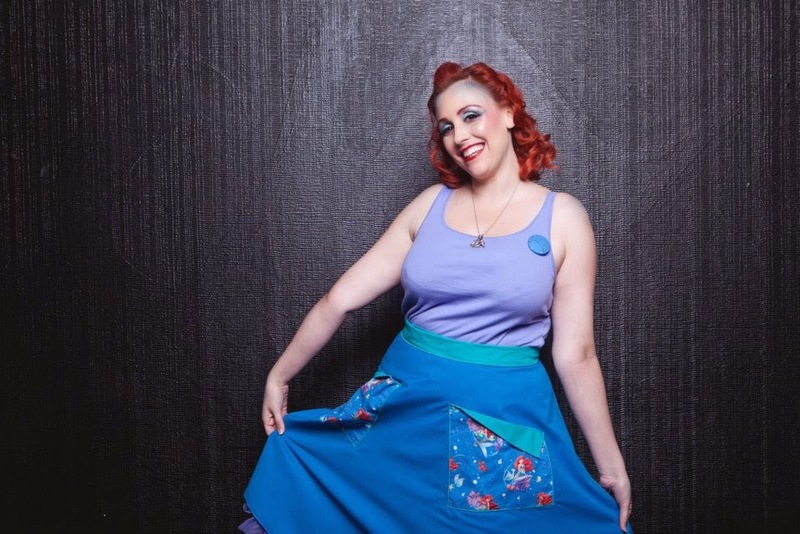 If you’re going to be at Supanova this weekend, Abigael has a table so you’ll be able to meet the designer herself and pick up one of her skirts (or five or six!). Check out the Seams Nostalgic Facebook page for updates! !